Cowan bringing star-studded, 5-piece band! Organizers of Arts at the Rives Theatre (ART) are hoping for a full houseThursday night at the John Cowan, John McFee and Friends concert. The band, which features three members of the legendary rock group The Doobie Brothers, is touring in support of “Sixty,” Cowan’s newest solo album. It’s a project that features dozens of special guests, including Leon Russell, Alison Krauss, Rodney Crowell, Sam Bush, Huey Lewis and others. Cowan will perform Thursday as part of a five-piece band that includes fellow Doobie Brothers McFee (pedal steel guitar, electric guitar, acoustic guitar) and Ed Toth (drums), as well as Tom Britt (electric guitar) and Rory Hoffman (keys, banjo, harmonica, acoustic guitar). “You know, it’s just a five-piece band, but I’ve got three guys who can play four or five different instruments, so it’s almost like a mini-orchestra even though there’s only five musicians,” Cowan said with a chuckle. General admission tickets for the concert cost $25 each, and season passes will not be accepted. General admission tickets are available at the Daily Grind coffee shop in uptown Martinsville, as well as Woodall’s Music & Sound in Collinsville. General Admission tickets, as well as VIP tickets, can also be purchased online HERE. Tickets will also be available Thursday at the theatre’s box office. Doors to the theatre will open at 7 p.m. and opening musician Maya Burgess will perform beginning at 7:30 p.m. Cowan’s band will take the stage around 8:15 p.m.Seat selection is first-come, first-served. 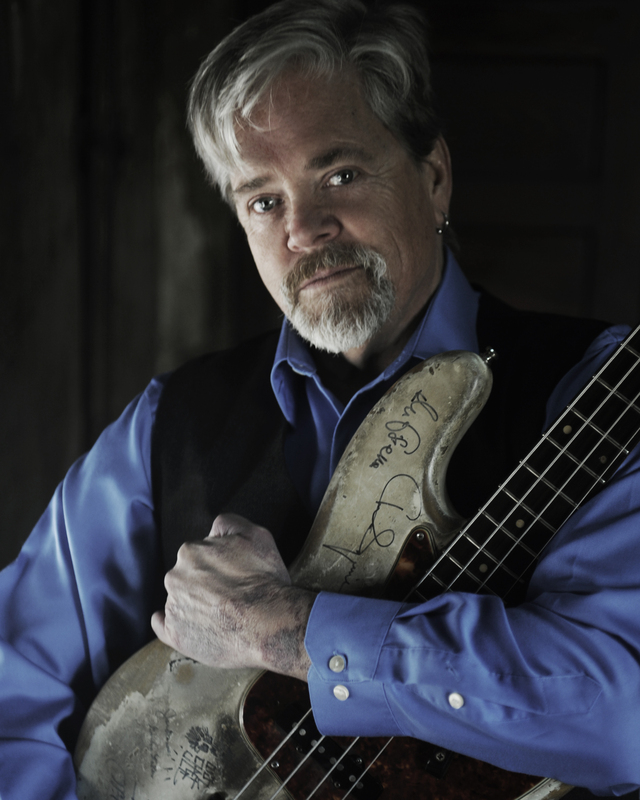 A vocalist and bass player, Cowan rose to national prominence in the late 1970s as a member of New Grass Revival, which also featured Bush and Bela Fleck. After New Grass Revival disbanded in 1990, Cowan went on to record a series of critically acclaimed solo albums in addition to laying down guest bass and vocal parts on some 120 recordings for artists including Steve Earle, Fleck, Krauss, and John Prine. He joined the Doobie Brothers about eight years ago. “I’ve just made a lot of great friendships over the years with some legendary people, and so when we’re making this record, we started by adding one person to be on something, and then someone else, and then it just kind of snowballed into what it became, which is just kind of a snapshot of my musical history and life,” said Cowan, who recently turned 60 years old. In addition to original compositions, “Sixty” covers songs recorded by Marty Robbins, the Flying Burrito Brothers, The Blue Nile, Moby Grape, Charlie Rich and The Fleet Foxes, among others. ART is a community nonprofit dedicated to promoting music, arts and education in Martinsville while utilizing the historic Rives Theatre as a space for community events and concerts. For more information, visit www.rivestheatre.com. ← Get your Cowan tickets while they last!